A vast network of pediatric caregivers, compassionate supporters, celebrities and 65 inspiring kids each treated at a Children's Miracle Network Hospital gathered Oct. 19-23 at Disney World. Attendees honored advancements in life-saving treatments and increased awareness for the children’s charity and its 170 hospitals. Ambassadors, known as “Champions,” from each U.S. state and Canada were honored at a special medal ceremony for courageously facing medical challenges; met with representatives from title sponsor Ace Hardware and other supporting partners; served as Grand Marshals in Disney World’s “Celebrate a Dream Come True” parade; and told their stories during nationwide TV and radio broadcasts from Disney World’s Rose Garden. The Celebration program concluded Saturday, Oct. 22 with CMN Hospitals’ Miracle Awards presented by Delta Air Lines. 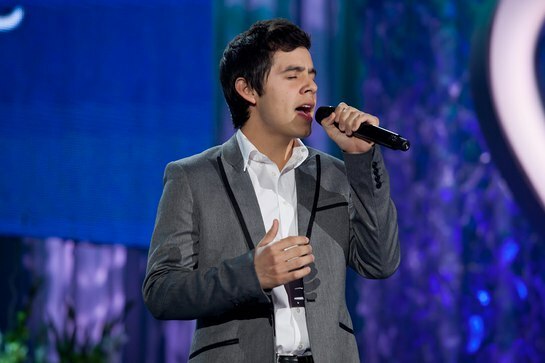 The evening’s program was hosted by NBC News alum Meredith Vieira and featured performances and appearances by actor John Schneider, musician David Archuleta, country star Mark Wills, Miss America 2011 Teresa Scanlan, NFL great Steve Young and former Children’s Miracle Network Hospital patient and vocalist Eileen Garrido. Children’s Miracle Network Hospitals raises funds for 170 children’s hospitals across the United States and Canada, which, in turn, use the money where it’s needed the most. When a donation is given, it stays in the community, helping local kids. Since 1983, Children’s Miracle Network Hospitals has raised more than $4.4 billion, most of it $1 at a time. These donations have gone to support research and training, purchase equipment and pay for uncompensated care, all in support of our mission to save and improve the lives of as many children as possible.